The Vi3202 is powered by 12VDC or 24VAC and provides PoE power up to 60W. For most of the existing analog installations, PTZ transmit over coax at distances greater than 328 ft. (100m). The Vi3202 also features a built-in coax extender. The combined ability to be powered by 24VAC and provide extended coax transmission allows the IP PTZ to drop in place without the extra cost for power or cabling. Because the camera is powered locally, transmission over coax can be up to distances of 5,000 feet, making it the perfect solution for parking lots and perimeter applications. We estimate there are over 100,000 potential conversions analog PTZ domes to IP. Providing up to 60 watts of PoE, the Vi3202 can be used with PTZ domes that are completely powered by PoE. With the +24VAC source, the Vi3202 can be used with PTZ domes powered by both PTZ and +24VAC. The Vi3202 provides an easy and cost effective method for achieving these conversions without needing to replace local power supplies and cables. The Vi3202 compact size easily fixes into camera mounts to further reduce costs by providing a weatherproof solution without the need for an additional costly enclosure. 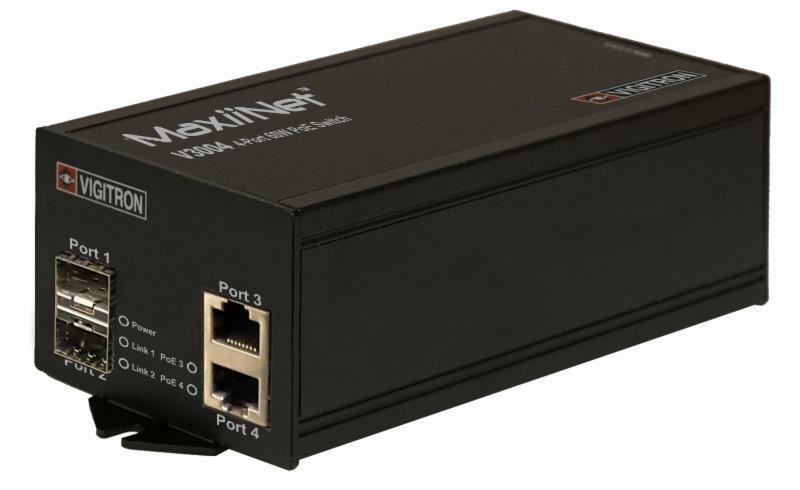 The Vi3004LV is a 4-port Layer 2 network switch media convertor that provides 2 ports of fiber and 2 ports of copper. The system can either be powered by 12VDC or 24VAC. 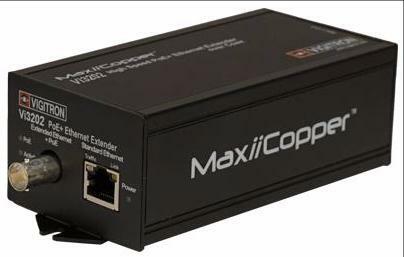 It provides a PoE output up to 60W for a single port or two 30 watt copper ports. Vigitron also provides a free and without obligation design center services to provide complete network infrastructure bill of materials for systems using Axis cameras. A reliable network solution can help to avoid any potential of customers mistakenly placing blame on the cameras. Customers can request design center support at support@vigitron.com. 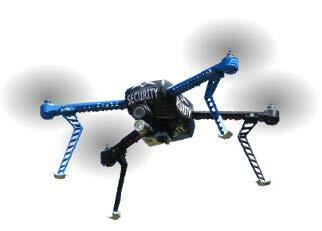 This is something that caught our attention - a start-up developing purpose-built CCTV drone. also equipped with floodlights and speakers to deter detected intruders. The drone is smart and fully autonomous; it is able to fly directly to the target and avoid obstacles without user intervention. Use a team of drones for maximum impact.